“In the new world, it is not the big fish which eats the small fish, it's the fast fish which eats the slow fish," says Klaus Schwab, founder and executive chair of the World Economic Forum. In other words, corporations aren't competing with each other—they're competing against fast-moving startups that threaten their existence. Despite limited resources, startups are unbundling billion- and trillion-dollar industries like consumer packaged goods, healthcare, automotive, and real estate, just to name a few. Meanwhile, the average life of an S&P 500 company is rapidly declining. To stay ahead of the curve, your team needs to take the corporate innovation plunge, by funding, acquiring or partnering with startups — or by creating an internal corporate innovation team. But before you start, you need a solid plan for how to mitigate risk. Although tolerating risk—and even failure!—is an integral part of innovation, there are also smarter, more responsible ways to run damage control. Here's a list of some of the least obvious—but most valuable—ways to mitigate risks and outsmart failure. Determining when to kill a corporate innovation project is one of the hardest decisions to make, especially for those who've invested significant personal effort. According to a recent study of Fortune 100 companies, there are three types of termination scripts (i.e., mental models that entrepreneurs default to when trying to decide whether to terminate a project): 1) undisciplined termination, 2) innovation drift, and 3) strategic termination. So what are these scripts? Undisciplined termination refers to “a quick decision to kill a project without regard for possible learning opportunities." Innovation drift is “the tendency to let projects continue when the chances for commercial success are, at best, limited." Strategic termination indicates “a concerted effort to acquire sufficient information to know when to terminate or to continue a project." In terms of providing learning opportunities, both undisciplined termination and innovation drift fall short. Undisciplined termination stunts learning by killing projects too quickly. In contrast, innovation drift actually uses “learning from failure" as an excuse to rationalize keeping underperforming projects. Strategic termination is the only viable script for terminating an underperforming project and learning from failure. Just because you shutter a corporate innovation project doesn't mean you need to shutter your commitment to corporate innovation altogether. For instance, when Coca-Cola closed its Founders incubator at the end of 2016, a spokesman told the press, “This does not change our holistic approach to innovation at Coca-Cola, which is to imbed innovation across our functions and throughout our global business units." It's well-documented that corporations, fearing getting Uber-ized or Netflix-ed, have been beefing up their innovation teams, launching accelerator programs and even giving their own employees money to test ideas with customers. As a result, Silicon Valley is no longer the sole breeding ground for innovation. According to digital analyst Brian Solis, “the top 10 most favored locations for innovation centers only represent 35 percent of total innovation centers." In other words, corporate innovation centers have gone global. But as corporate investment in innovation increases, companies are struggling to answer the following question: How do you measure whether or not your innovation efforts are working? Sometimes, traditional execution-based key performance indicators (KPIs) just don't make sense. Putting a number on less precise, more conceptual innovation goals is not only difficult, it can also be a complete waste of time. Even worse, it can falsely identify failures and kill a project before it's had a chance to blossom. The alternative: Consider implementing innovation-based KPIs, like the percentage of employees working on innovation projects, the monetary value of the innovation funds (after enough time has passed) and the sales generated from matured innovation projects. When you can't solve that chemistry problem, you ask your teacher. When you have a question at work, you reach out to your superior. When you feel sick, you seek out your doctor's advice. However, if you're truly trying to innovate, turning to experts in your company (or even your industry) isn't always the smartest move. Sure, senior executives acquire a lot of experience and knowledge throughout their careers. Unfortunately, this knowledge can quickly become irrelevant when it comes to assessing uncharted business models and new value props. For example, the knowledge that Blockbuster's leaders gained over the course of decades about the video rental industry didn't prepare them for the rise of streaming services. But streaming didn't kill Blockbuster. That credit belongs to Blockbuster itself. Instead of relying on expert opinion, look to field-based evidence to guide decisions on corporate innovation initiatives. Also, whenever possible, post-pone hiring outside agencies to perform customer discovery and market research until you've found product/market fit. As Steve Blank, Silicon Valley serial-entrepreneur and academician, recommends, “roll up your sleeves and internalize the hard work of rapid prototyping, testing, learning and deciding. Third parties can help you with the process, but they can't do the work for you." 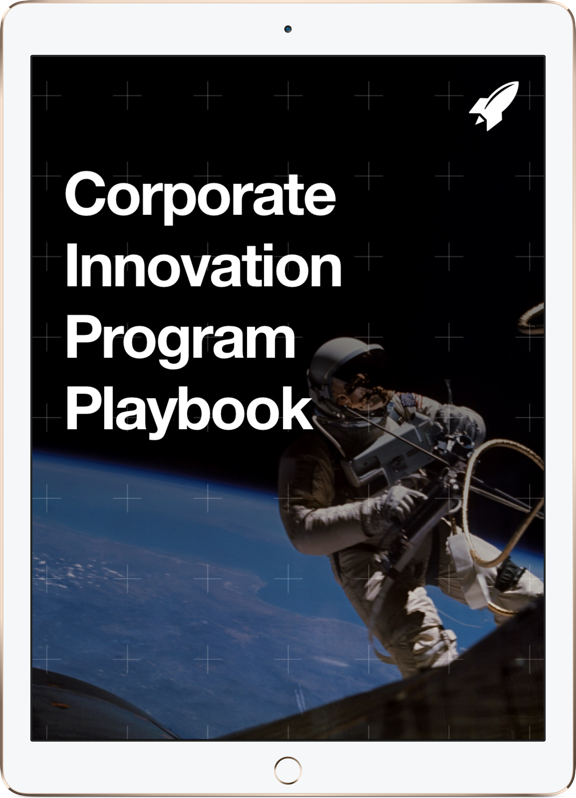 One of the biggest reasons why corporate innovation teams fail is that they confine themselves to traditional R&D models that are low-risk but low-reward—incongruous with corporate goals to bring products to market quickly. "When corporate innovation teams seek to launch internal accelerators, they often find it's challenging to replicate the culture of innovation that's found in entrepreneurial hubs like Silicon Valley," says Ron Yerkes, VP of Accelerator Programs at RocketSpace. "The limiting factor is rarely budget, as many enterprise leaders already have strong R&D programs in place and recognize the value of future-proofing their businesses through innovation. What does hold them back, however, are challenges around day-to-day operations and creating a value proposition that attracts the right long-term startup partners." So how can corporations build more sustainable, successful paths to corporate innovation? Engage in open-innovation models—work with complementary corporations to tackle shared business challenges. For instance, Lufthansa Cargo and Ingram Micro are part of RocketSpace's Industry Accelerator Program and launched a Logistics Tech Accelerator with Kaleido Logistics, which draws from the diverse expertise of multiple corporate members, startups and industry mentors. Run focused pilot partnerships before committing to making investments or forming a joint-venture relationship. Choose projects with carefully defined milestones. Encourage smaller, more continuous experiments. 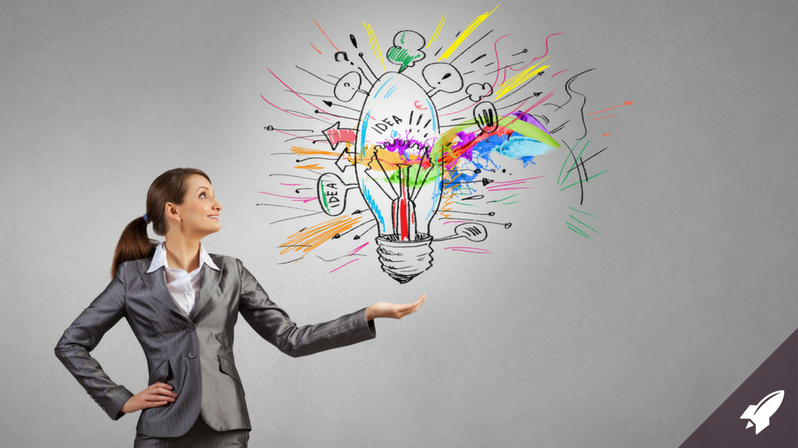 Take a look at how Adobe builds a culture of employee-driven experimentation.